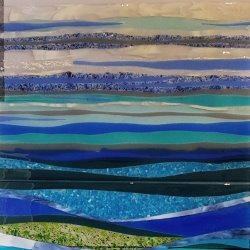 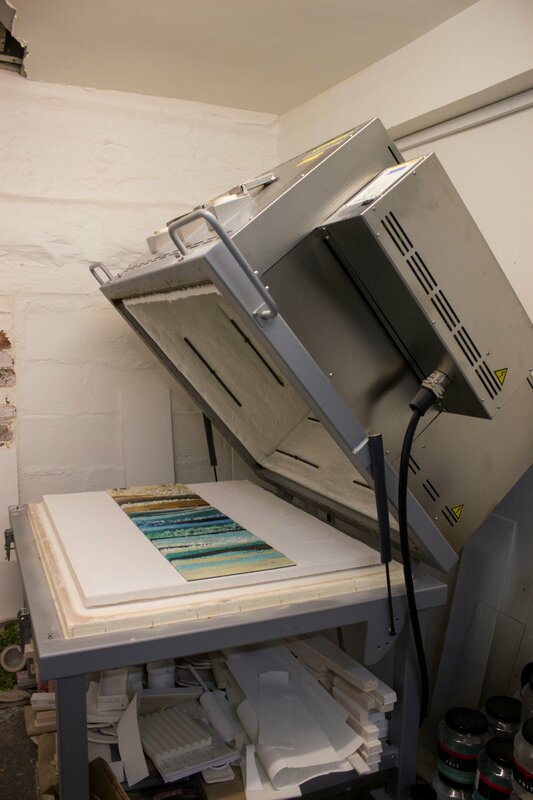 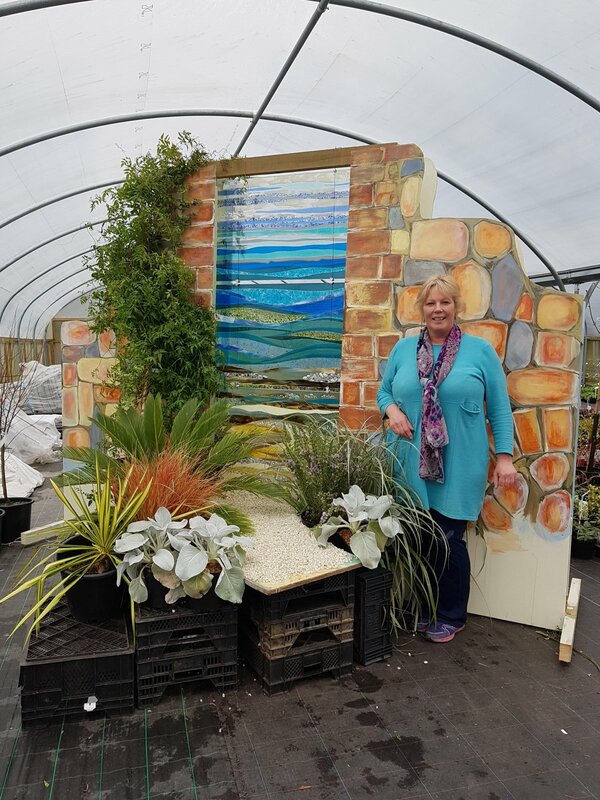 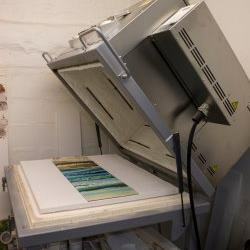 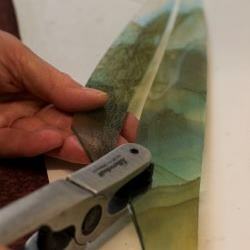 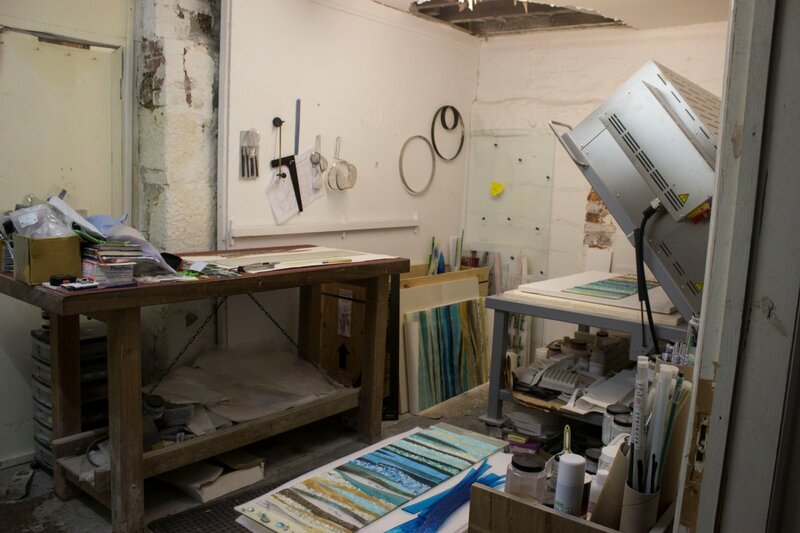 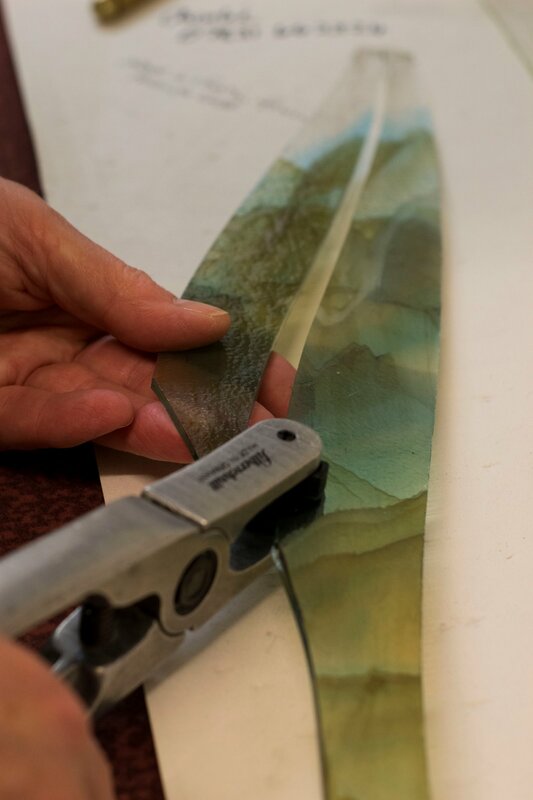 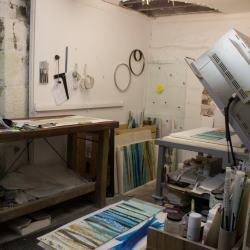 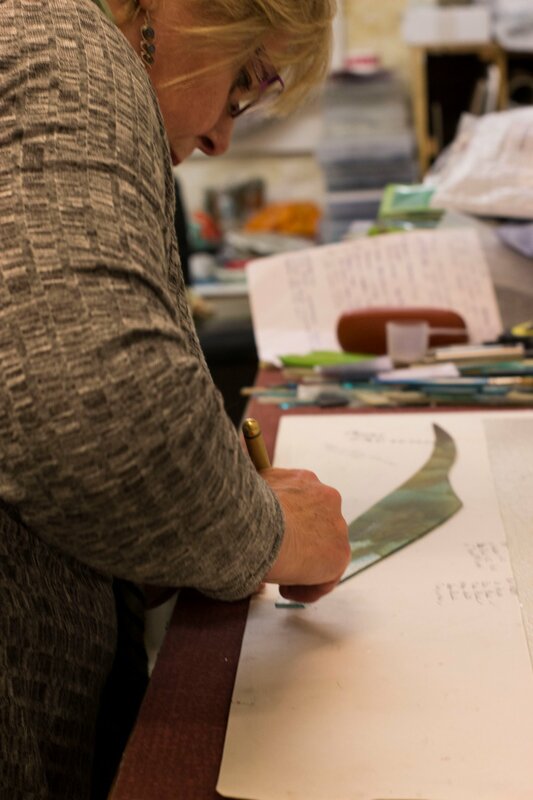 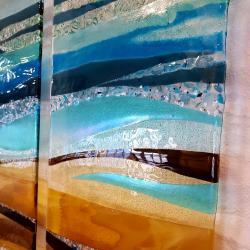 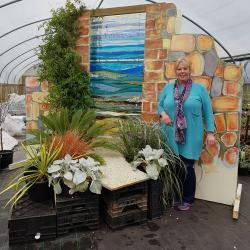 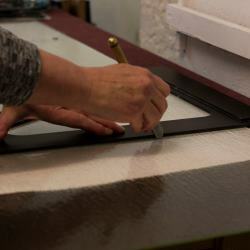 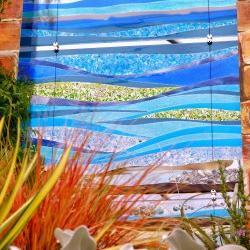 Ali Gibson designs and creates bespoke, large scale fused glass wall art and designer kitchen splashbacks in her Off The Wall Glass studio in Penryn, Cornwall. 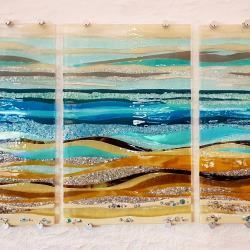 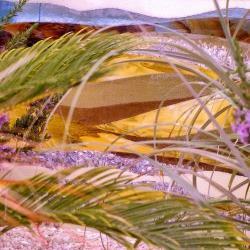 Originally working in stained glass and tiffany lampshades Ali moved to Cornwall in 2006 and following several years study of fused glass, any many experiments pushing the boundaries of what is possible, now specialises in large scale art panels. 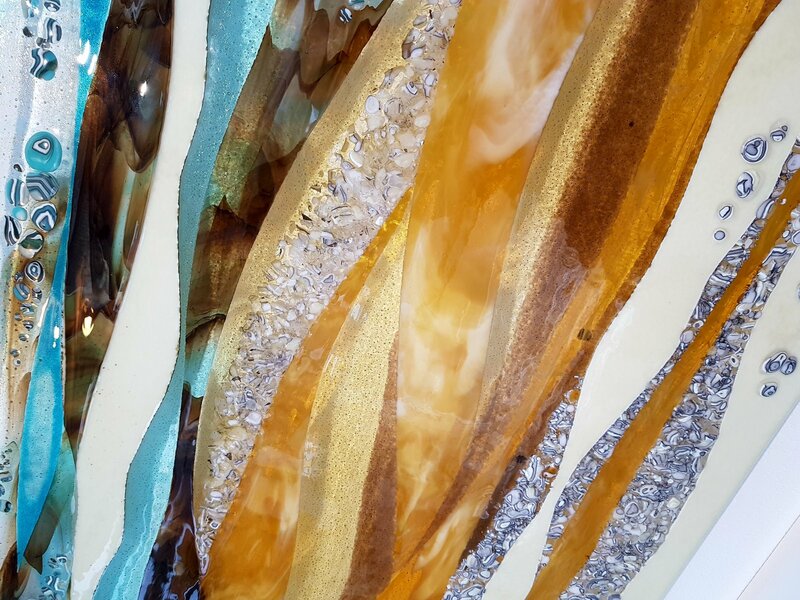 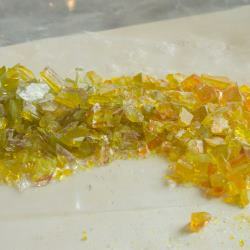 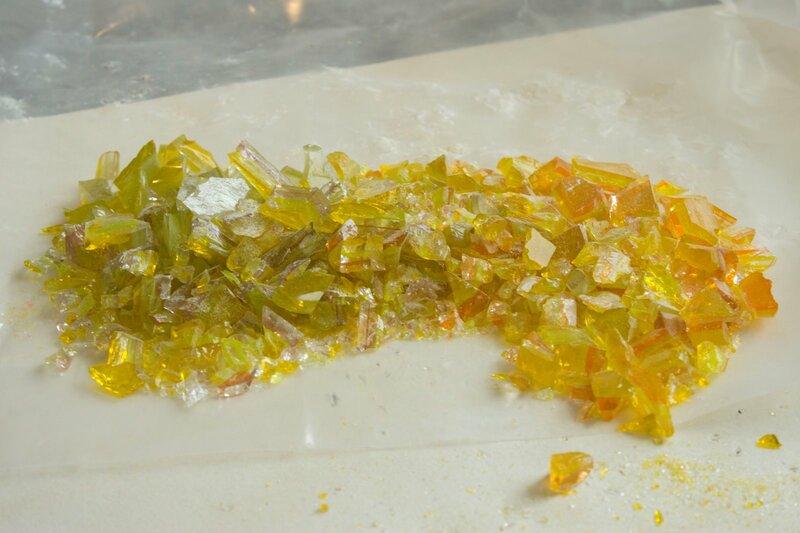 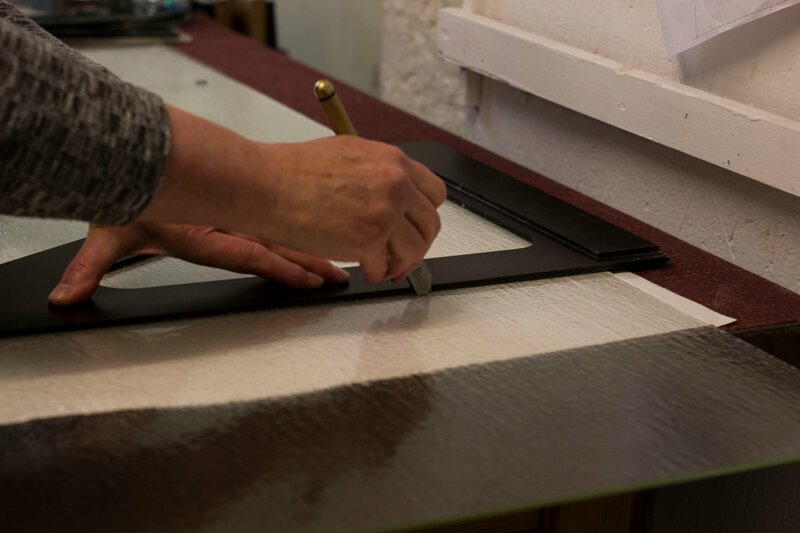 An Off The Wall Glass design will typically include a range of bespoke handmade frits (small handmade pieces of glass in various sizes), precious metals and always incorporates a trademark emphasis on texture to capture, reflect and refract the light. 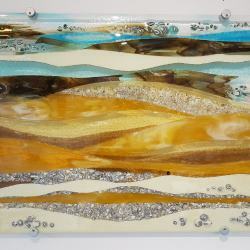 Due to the firing and creative process each panel is totally unique although most of Ali’s designs can be altered to suit clients’ own décor if so desired. 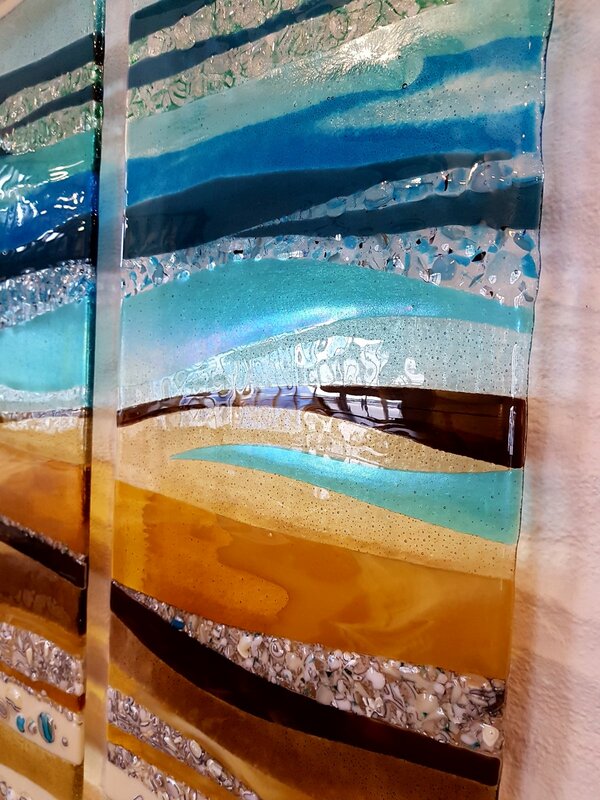 “I am absolutely delighted to have been commissioned to make the three “Cornish Seascape” panels and have collaborated with the Burncoose Chelsea team to come up with a design that will compliment, and hopefully enhance, the Cornwall theme of the Burncoose stand.” We started off with very rough sketches of the effects we were looking for and then progressed to making small sample panels to ensure the colours and design were right before scaling up to the larger sizes needed for the stand. 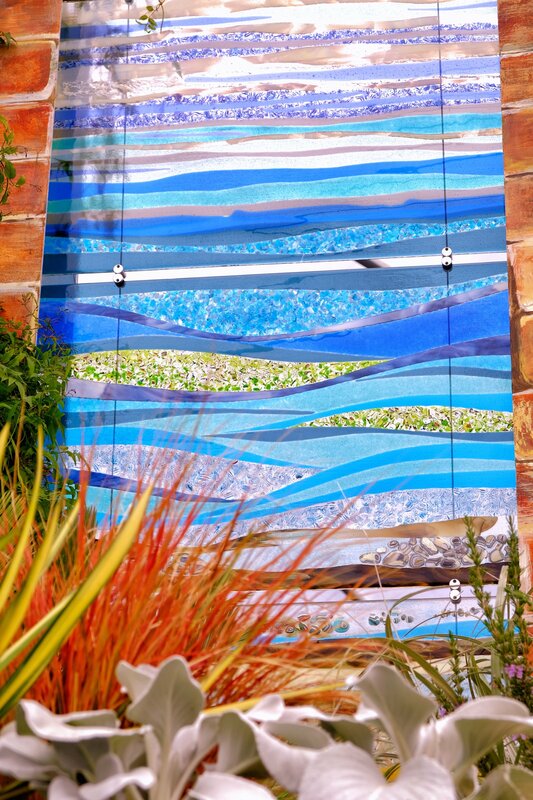 The three panels are based on beach, sea and sky sections installed on tensioned steel cables and represent the view you are likely to see through a coastal Cornish archway. 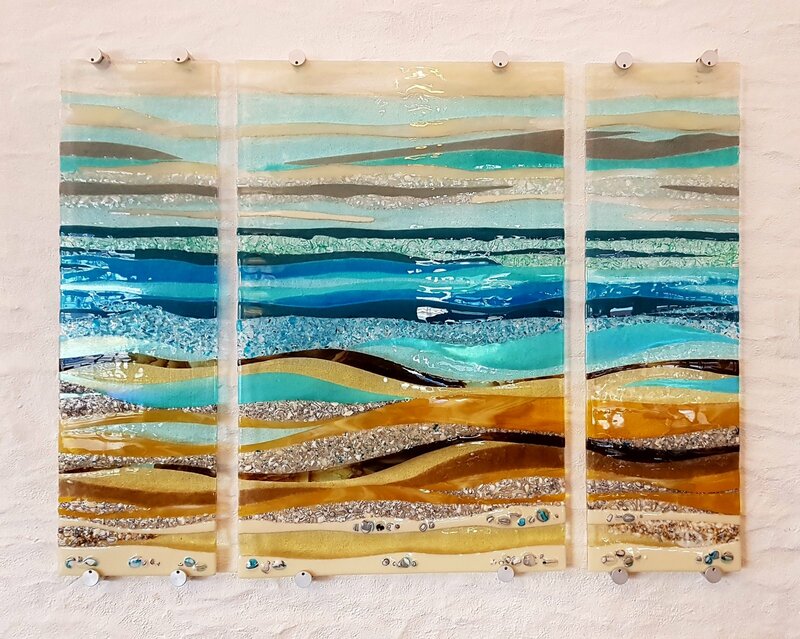 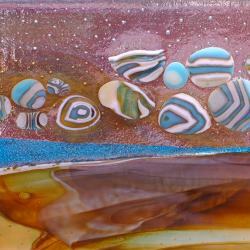 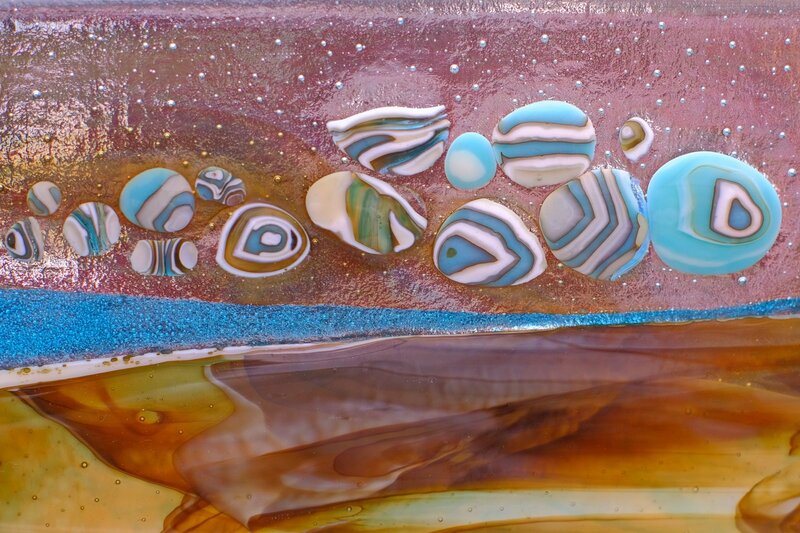 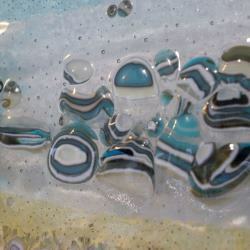 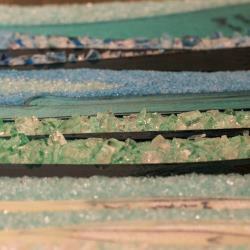 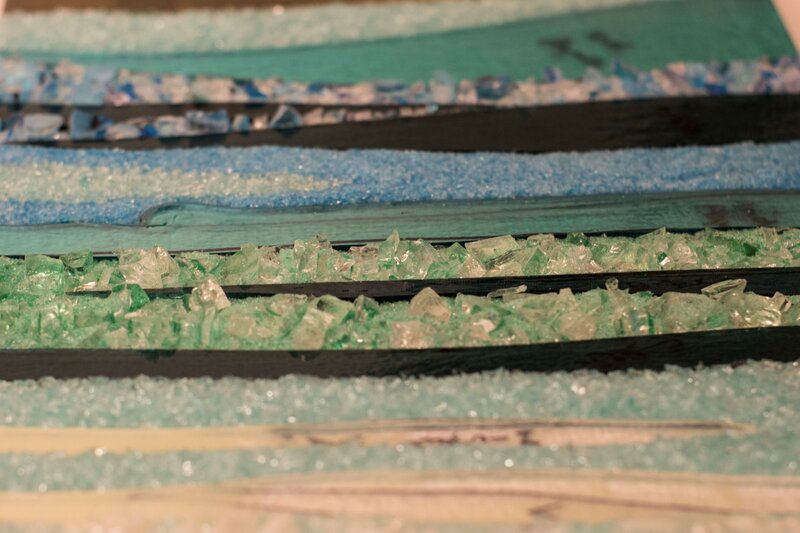 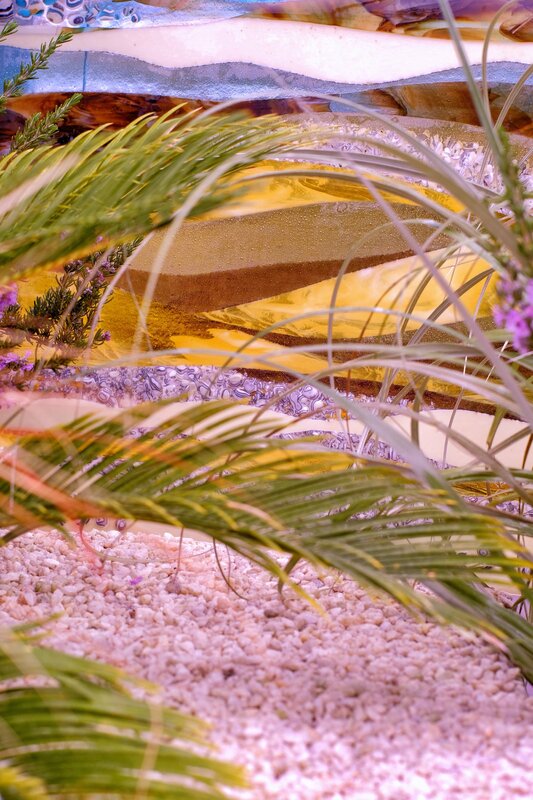 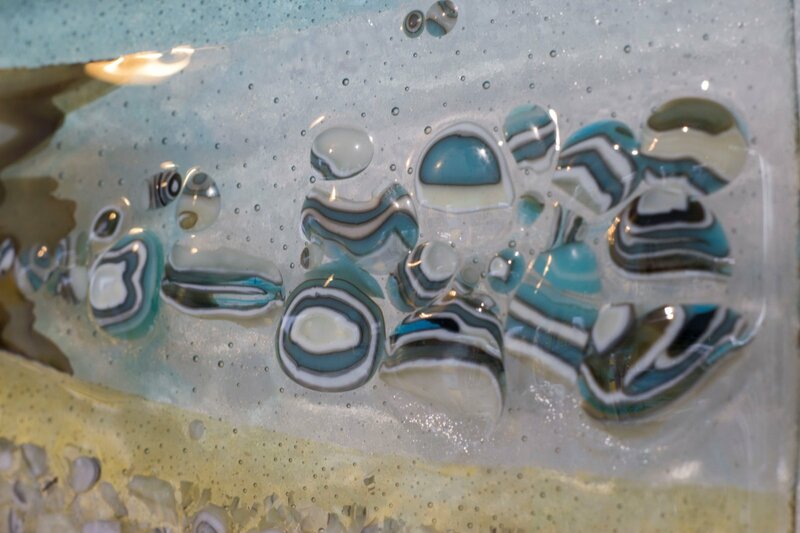 The Beach section incorporates Ali’s unique glass pebbles, in two different colours, which are pre-fired twice before applying to the final panel, there is also a second pebble band with precious metal inclusions and other multi-fired elements. 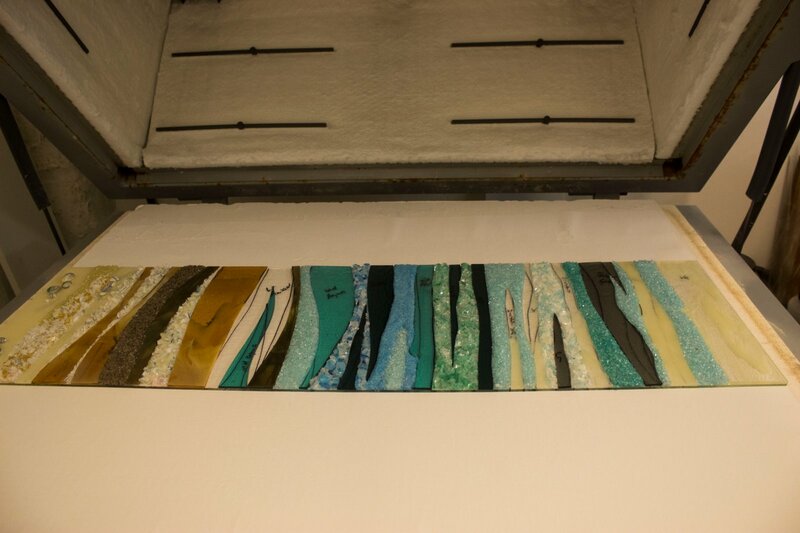 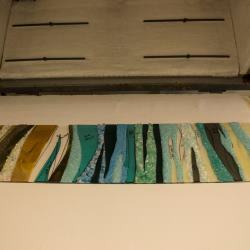 The middle panel represents the sea view with bands of overlapping darker sea blues, turquoise and aqua colours, again with multi fired frits and a striking lime green horizon which could represent the peninsular headlands jutting into the sea or bands of seaweed in the shallows. 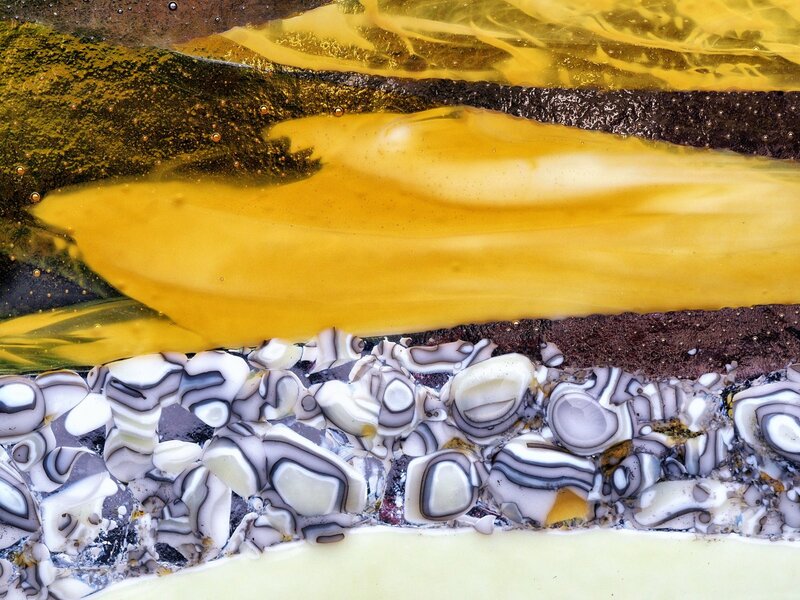 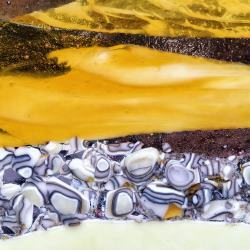 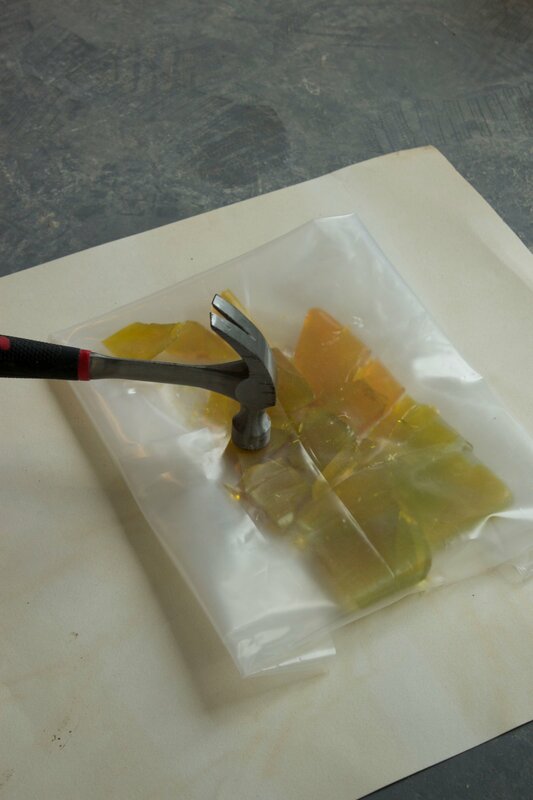 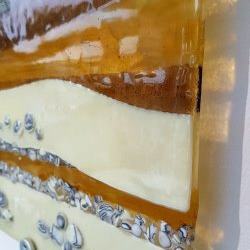 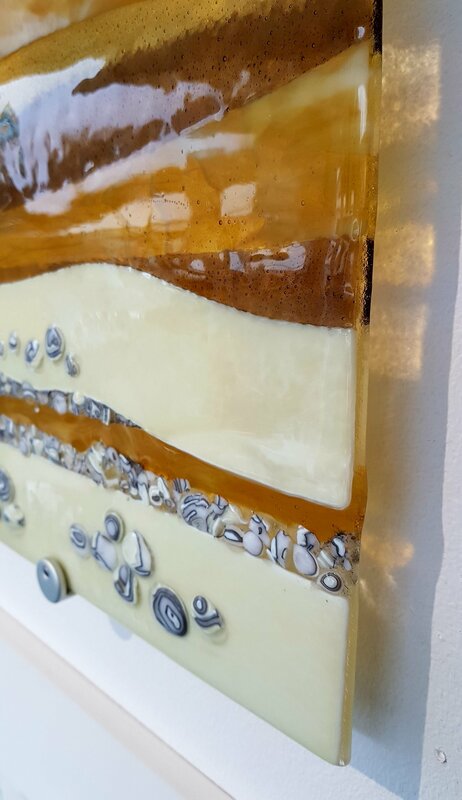 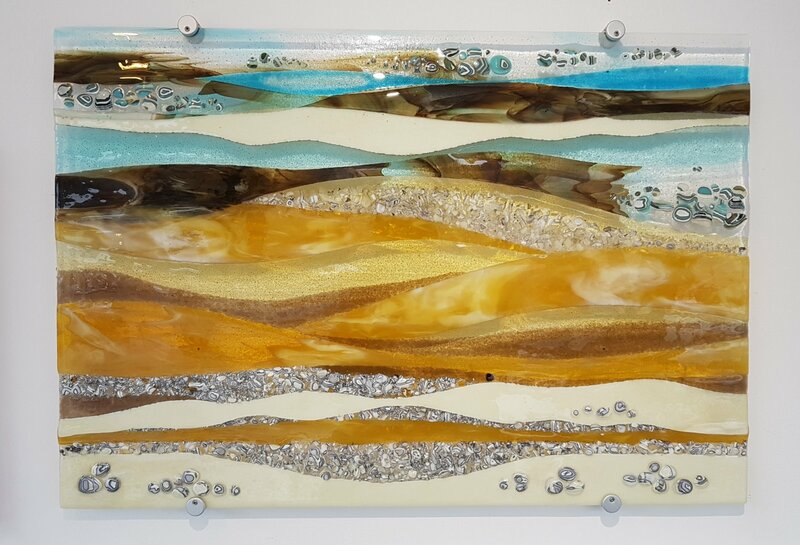 The beauty of an abstract piece of fused glass art is that this choice is yours to make and every time you look at the art panel you will discover more hidden details. 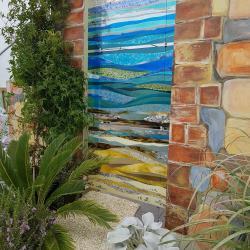 The top panel carries the sea coloured bands towards the sky gradually changing the shades of blues until the paler sky colours of silver grey, palest aqua, wispy white clouds and sprinkled silver white mica complete the picture. 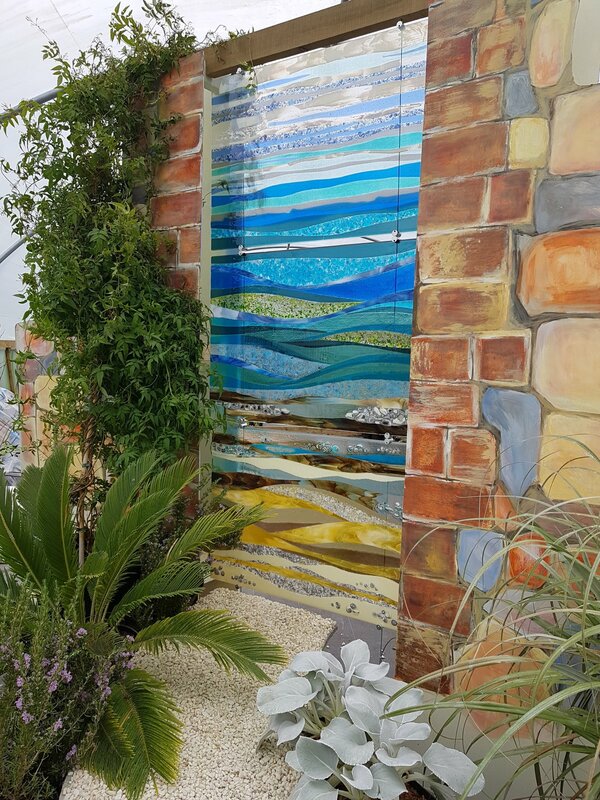 Each panel is a complete work of art in its own right but installed together, utilising good lighting, they can look absolutely stunning. 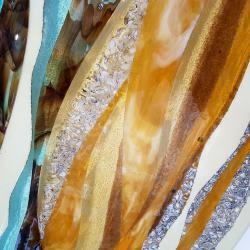 The beauty of this design is that it can be scaled up or down, turned into a horizontal or vertical wall art feature or used as a bespoke kitchen splashback to enhance a modern contemporary kitchen design. 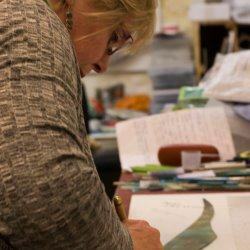 Please contact Ali if you require any more information on this or any other bespoke design.